We are delighted to announce that our company name is changing as of May 25, 2018, from “Fishtail Air Pvt. 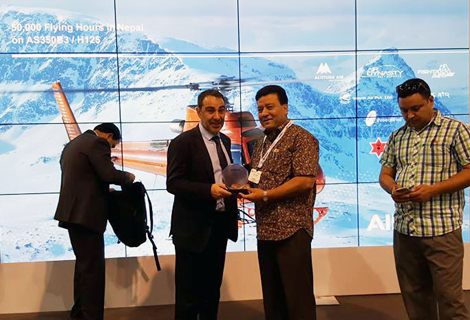 Ltd.” to “Summit Helicopters Pvt. Ltd”. Since only the company name changes, but all other legal aspects remain unchanged, we would like to propose taking this letter as a viable annexe or amendment to any contracts or service agreements that are currently in place between yourselves and Summit Helicopters. We would be grateful if you could ensure that all contact details and communication systems are updated within your organization to reflect our company name change with effect from May 25th 2018. Thanks a lot for being one in our valued customers. We appreciate your cooperation in this matter. Posted in: Aviation News, Company News. Raman Nair Hachoodan, 41, who went missing on May 15. 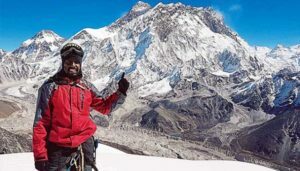 A Malaysian climber who scaled the peak of Mount Everest last year was found dead near camp II on Mt Ama Dablam, which is at 6,812m above sea level in the Everest region.The climber (Raman Nair Hachoodan),42 was said to have fallen some 1,000m down from the high camp after he along with two other climbers were returning to the lower camps .He was found by a sherpa team which had searched the site after he was reported missing hiking down from 6,800 metre mountain. 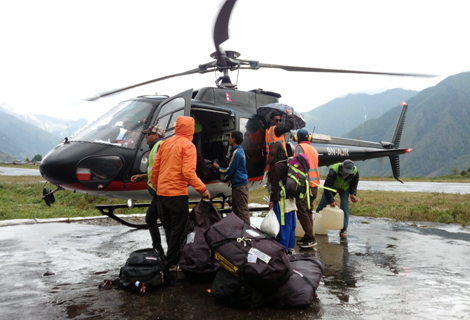 His body was found in a gorge at height of 5,300 meters near the camp II after five days of search. The report said Raman accompanied by two other mountaineers were believed to be making their way up Camp II, which was located on the lower slopes, some 1,000 metres from the peak, when he fell to his death.The three were making their way to safety to the lower altitude camp to take shelter due to bad weather, when the incident took place.The report also said that the expeditionary organisers conducted land and air search but it proved futile, due to the prevailing bad weather. 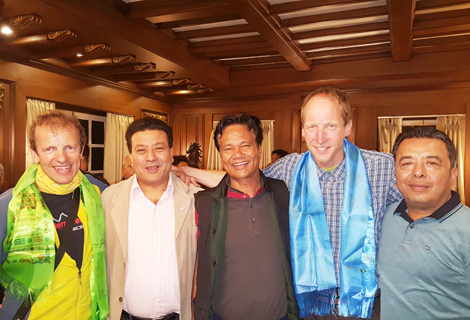 It is learnt that the victim’s father had arrived in Kathmandu, Nepal to claim the body, to be brought home to Malaysia for final rites. Posted in: Aviation News, Company News, Tourism Articles, Tourism News. Posted in: Aviation News, Company News, Religious Tours, Tourism Articles, Tourism News. Posted in: Tourism Articles, Tourism News. Posted in: Aviation News, Company News, Special Mission, Tourism Articles, Tourism News. Posted in: Company News, Med-Evac, Tourism Articles, Tourism News. Posted in: Aviation News, Company News, Rescue Mission, Tourism Articles, Tourism News.